The jaguar known as El Jefe – The Boss – was first identified in the Santa Rita Mountains southeast of Tucson, Arizona, in 2011. The beefy male cat likely crossed over from northern Mexico and found a home in the peaks that rise abruptly from the dry, grassy plains. In 2016, the Army Corps of Engineers refused to issue a permit for the Rosemont copper mine, proposed for those same mountains, because of the damage it would do to El Jefe and his habitat, other endangered species, pristine water systems and Native American cultural sites. 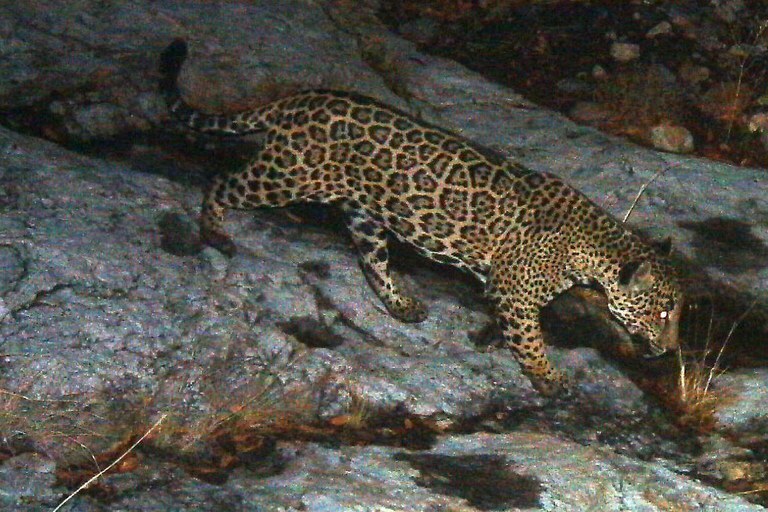 Pictured in 2014, the jaguar known as El Jefe frequents the Santa Rita Mountains. After being blocked for years, a mining permit has been issued in his habitat. Now that same agency has done an abrupt about-face, giving the mine its final go-ahead last month. What changed? The administration in Washington, that’s what. The Rosemont Mine reversal is yet another example of the Trump administration’s larger project of favoring extractive industries over other concerns by removing so-called regulatory burdens. 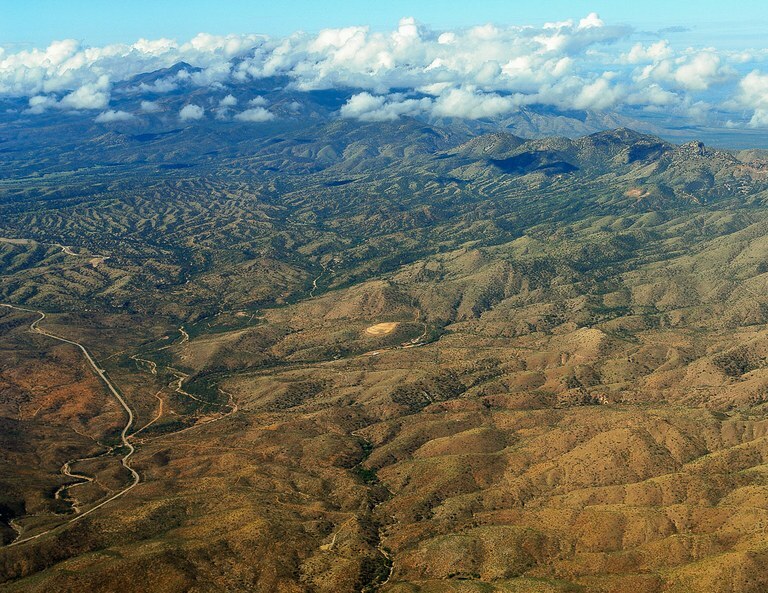 “If Trump and his administration have remained focused on anything, it’s been in loosening environmental regulations,” said Gayle Hartmann, president of Save the Scenic Santa Ritas, a local conservation group that has fought against the mine since it was proposed more than a dozen years ago. Augusta Resources first proposed Rosemont in 2007. Seven years later, Toronto-based Hudbay Minerals Inc. bought Augusta and took over the project. The permitting process for the $2 billion project, which would feature an open pit a mile wide and thousands of feet deep on 5,431 acres, mostly on Coronado National Forest, has been overseen by the Forest Service and the Los Angeles District of the Army Corps of Engineers. A coalition of local and regional environmental groups, along with several tribal nations, have battled the project for years. Rosemont’s proposal suggests storing billions of tons of mine waste and dredged materials out in the open, including in seasonal arroyos, spawning fears of runoff containing mercury, arsenic and other heavy metals contaminating streams and aquifers. The project will use nearly 5 million gallons of water per day, lowering the water table in the Cienega Creek watershed and draining federally protected wetlands and streams. Meanwhile, the massive mine would lay waste to the habitat of the jaguar, the Gila chub, the Chiricahua leopard frog and other endangered and threatened species. Citing all of these concerns, in 2016 the Army Corps regional office that oversees Arizona recommended against permitting the mine, putting the project’s future in doubt. Then Donald Trump stepped into the Oval Office, and everything changed. In June of 2017, the Forest Service gave the mine its stamp of approval, leaving Clean Water Act permits from the Army Corps as Rosemont’s last large regulatory hurdle. That fall, the U.S. Environmental Protection warned that the mine would destroy water systems “containing regionally rare, largely intact mosaics of some of the highest quality stream and wetland ecosystems in Arizona. These environmental consequences are substantial and unacceptable,” according to documents obtained by the Arizona Daily Star. An aerial view of the Rosemont site, which, if it moves forward, will feature an open pit a mile wide and thousands of feet deep on 5,431 acres, mostly on Coronado National Forest. Nevertheless, this March the Army Corps of Engineers Los Angeles District — the same entity that wouldn’t approve the mine in 2016 — issued Clean Water Act permits. Roger Flynn, director of the Western Mining Action Project, a public interest law firm, called it a “backflip” and a “180 degree” change. In its decision, the Army Corps rejected the EPA’s findings, siding with Hudbay’s argument that the company’s proposed mitigations adequately offset damage done to washes and water on the site. The Corps also argued that it lacked the power to deny the permit due to the lowering of the Cienega Creek water table, an approach Flynn criticized as an overly narrow interpretation of its regulatory responsibility. Since receiving its long-awaited water permits, Hudbay has charged ahead. It bought out a South Korean investment firm that owned a minority stake in the project, and announced that it hopes to begin work on the mine by the end of the year. Note: This story has been updated to reflect that Western Mining Action is a public interest law firm as opposed to a mining watchdog group. Nick Bowlin is an editorial intern at High Country News. Email him at [email protected] or submit a letter to the editor.